As noted by The Wall Street Journal, Betts' LinkedIn profile shows the longtime auto exec moved to Apple's "Operations" team in July. Prior to Apple, Betts most recently served as Head of Quality at Chrysler Group, now Fiat Chrysler Automobiles, for seven years until leaving in 2014 to pursue other interests. He has held similar quality assurance positions at Japanese auto giants Nissan and Toyota. Interestingly, FCA chief Sergio Marchionne was in California in May to discuss Apple's "intervention in the car" with CEO Tim Cook. It remains unclear what was discussed, though FCA's subsidiaries account for 20 percent of all manufacturers that currently support CarPlay. 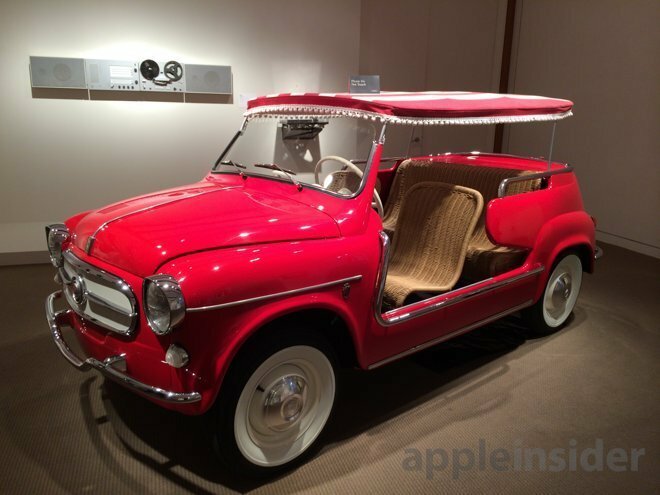 Betts' move to Cupertino adds fuel to speculation surrounding a so-called "Apple Car." Apple is rumored to be working on an electric vehicle, dubbed Project Titan, which could boast advanced functionality like autonomous driving features not currently available in mainstream cars. Reports in June claimed the project has become a drain on talent, however, with personnel reassignments taking a toll on other departments. AppleInsider in March uncovered proof of an off-site Apple operations complex seemingly related to Project Titan. A group of buildings leased by Apple contain car-related amenities including a garage, repair bays and various research and development facilities. The exact nature of Apple's secret campus is unknown, though it could serve as a regional basecamp for the company's mapping van initiative. Other evidence of Apple's supposed interest in electric vehicles includes a handful of hires from battery technology company A123. The small firm filed a lawsuit against Apple earlier this year, alleging illegal poaching of top researchers involved in high-performance, large format battery products.